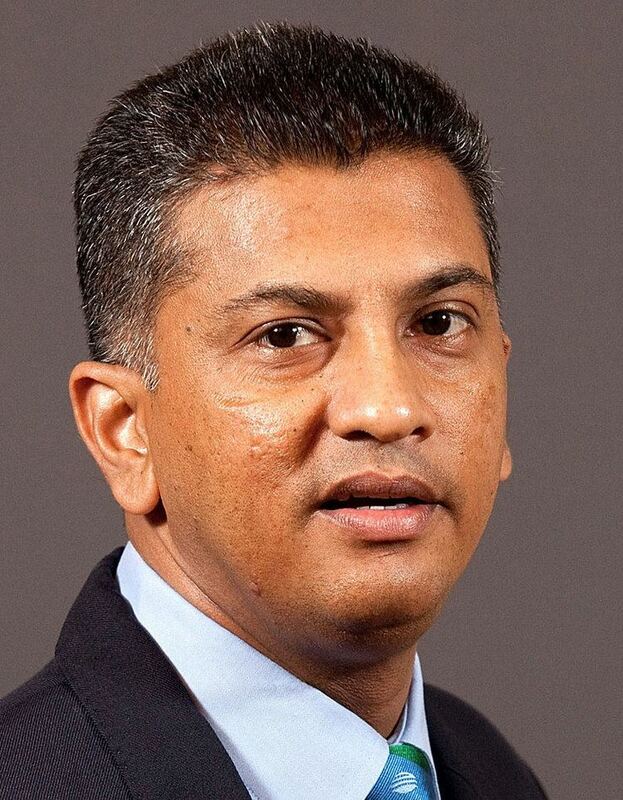 Deshabandu Roshan Siriwardene Mahanama (born 31 May 1966 in Colombo) is a former Sri Lankan cricketer and a former ICC match referee. He was a key member for 1996 Cricket World Cup winning team for Sri Lanka. He is the first man to have stood as a match referee in a day-night test match in Test history. In September 2015, Mahanama said that he would step down from the ICC match referee panel at the end of the year; he will spend his time with his family and his businesses. Roshan is the 36th Sri Lanka Test Cap where he played Sri Lanka Vs Pakistan at Colombo 1985/86. Although he averaged less than 30 at Test cricket, he did score four centuries, including a top score of 225 for the Sri Lankan cricket team against India at Colombo, where he shared a then world record second wicket partnership of 576 runs with Sanath Jayasuriya. This record was surpassed in July 2006 as the largest partnership in Test match history by fellow Sri Lankans Kumar Sangakkara and Mahela Jayawardene who put on 624 against South Africa. The partnership between Jayasuriya-Mahanama still stood as the highest partnership for the second wicket in Test cricket. Mahanama established himself as stylish opening batsman in the late 1980s & early 1990s under the captaincy of Aravinda de Silva. 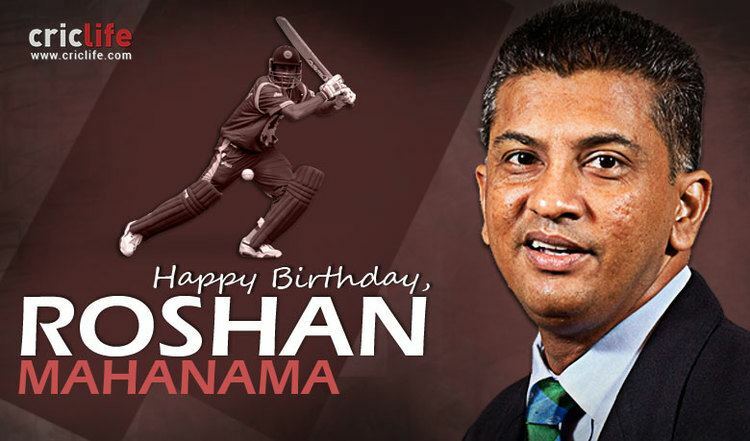 In the 1992 Cricket World Cup, Roshan Mahanama was selected as opening batsman along with M.A.R. Samarasekera & U.C. Hathurusingha, scoring 59 runs off 89 balls v.s. Zimbabwe, 80 runs off 131 balls v.s. New Zealand & 68 runs off 121 balls v.s. South Africa. 'Retired hurt' is common parlance in cricket, but that is the name former Sri Lankan cricketer Roshan Mahanama chose for his biography, reflecting his feelings after he was not considered for selection in the One-dayers and Tests, following the team's disastrous showing in the 1999 World Cup. The authorities told Mahanama that he was dropped to groom young talent. But then players older than him found a place, and that hurt the veteran. As a matter of principle and self-respect he decided to retire. These facts are mentioned in the book 'Retired hurt,' penned by noted Australian sports chronicler Ken Piesse, based on 40 hours of taped narration on Roshan's experience on and off the field. 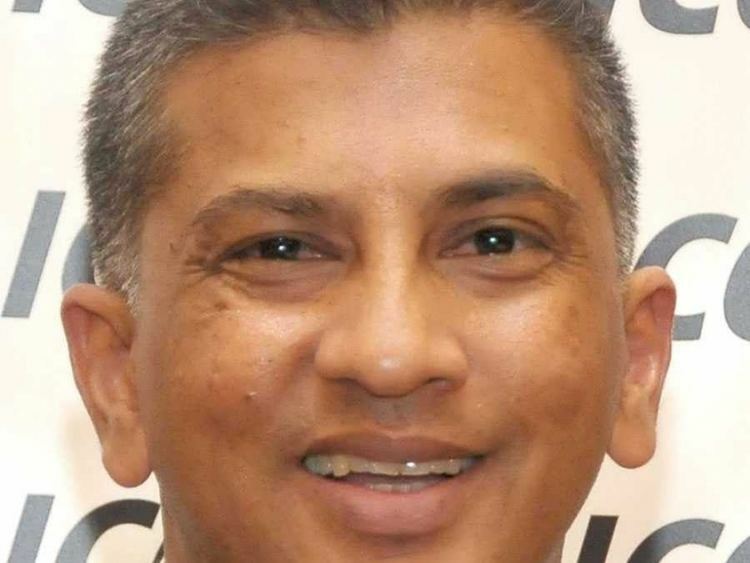 Following his retirement from international cricket in 1999, Roshan Mahanama made the transition into becoming an International Cricket Council match referee. He made his debut as a match referee in the ODI between West Indies and Bangladesh in Kingstown 2004. In the same series, he made his Test debut and to date, he has refereed in 61 Tests. On 21 October 2014 during ODI series between New Zealand and South Africa, Roshan Mahanama entered the elite group of match referees who have officiated 200+ matches. Mahanama step down from the match referee at the last test of New Zealand v Australia with having joined the elite panel in 2004 and has refereed in 61 Tests, 222 ODIs and 35 T20Is till 15 September, including in three World Cups and the Champions Trophy 2009. Mahanama became the first match referee to be acted in a day-night Test match in the history of the game, where the pink ball was used for the first time as well. As an opener in the first few years at career, Mahanama was later moved to middle order rigid batsmen with the new openers Romesh Kaluwitharana and Sanath Jayasuriya due to the revolutionized batting display gave them the permanent opening positions. Anyway, until retirement, Mahanama has scored 4 Test centuries and 4 ODI centuries.